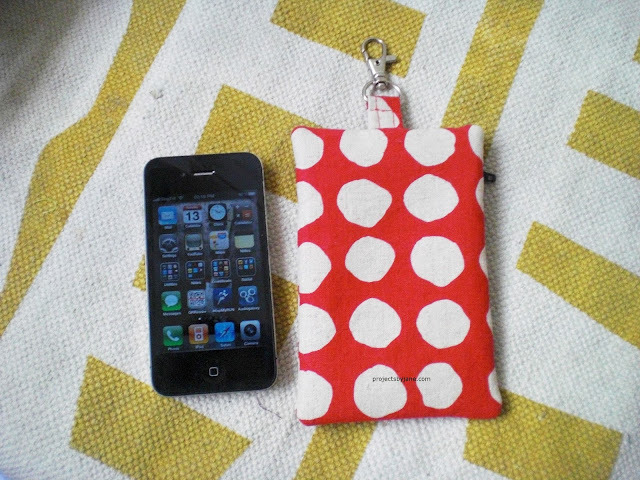 The iPhone zip pouch pattern came about organically. 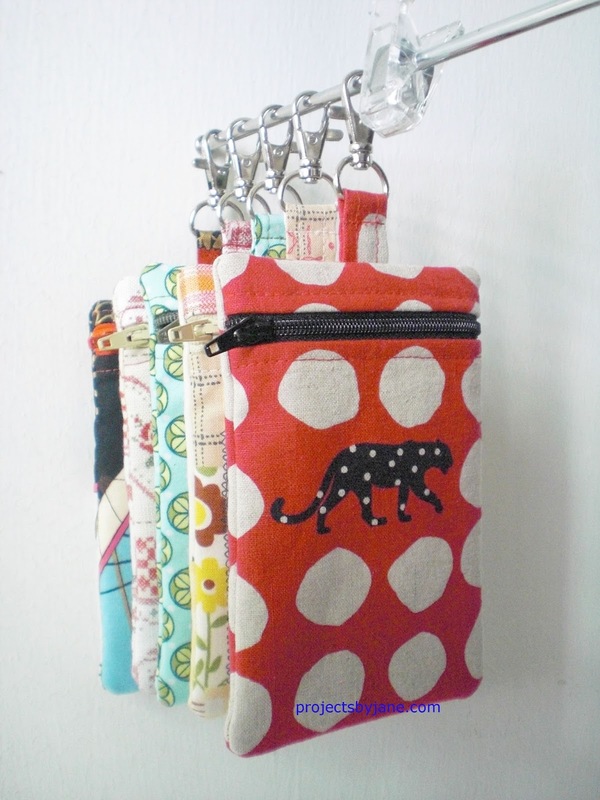 In the beginning, I made handphone pouches with a flap and velcro closures for sale at the craft markets. 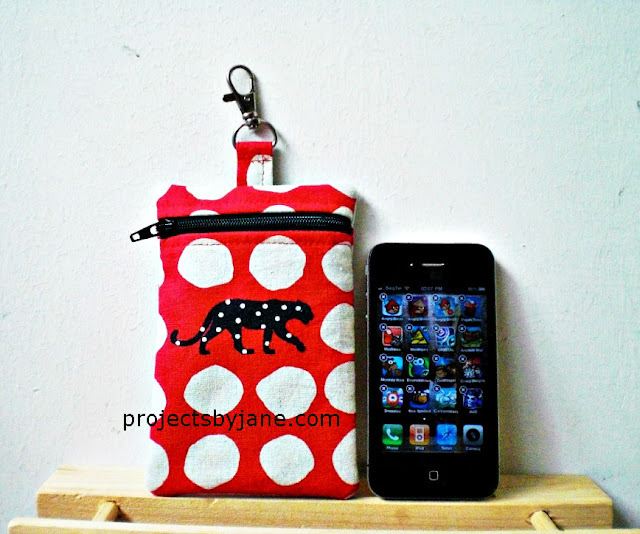 Customers asked for zipper instead of velcro and I made a few versions - top zipper and front zipper. People liked the front zipper version more and the clasp was added because some people wanted to hook the pouch to either the lanyard or bag. This may sound funny but back in the days when handphones were lighter, people wore it on lanyard hung around their necks. I was no exception. The fabric I used for the cover was Echino which was very, very expensive because it was not available locally and I had it shipped from Japan. For the lining I used a fabric from Red Rose Farm. When I wrote the pattern, the iPhone I had was iPhone 4. Later I made a bigger version for iPhone 5 and 6. At Etsy and Craftsy, the iPhone 5&6 supplement is sold separately. However, if you buy off my blog (via Payhip), you get the supplement for free. 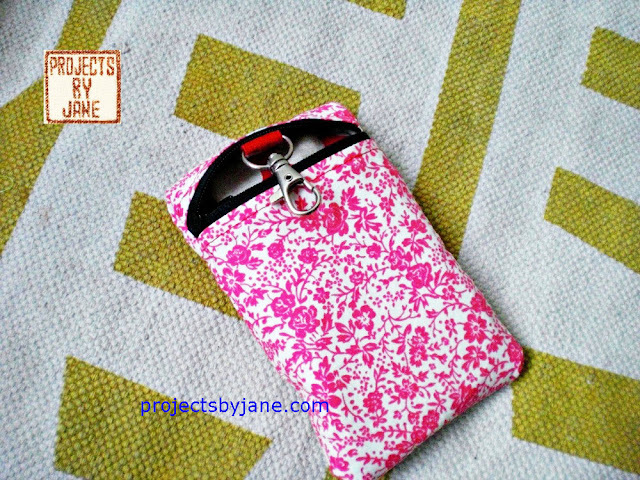 You can buy this pattern off my blog by clicking on the "Buy Now" button below or THIS link. Do read my faq if this is your first time buying from my blog. Thank you.